Never done before, Melodramatic Eagle Productions and director Paul Myers, are trying to get funding for Myers’ new movie, 5 Shells, by auctioning off investments to the highest bidder through Ebay.com and by selling producer credits through Craigslist.com. 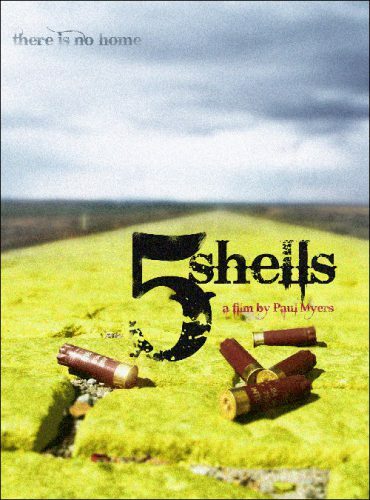 5 Shells is set after a global financial meltdown where a young girl must protect her older sister as they wander across a desert wasteland in search of a new home with only a shotgun and five shells for protection. Unfortunately they aren’t the only ones adrift on this Yellow Brick Road. Using L. Frank Baum’s amazing 1900 children’s classic, The Wonderful Wizard of Oz as a guide, the film tells a story about the brutality innate in humans that the fetters of society keeps in check, and what happens when they are stripped away. 5 Shells is scheduled to shoot this summer in New Mexico.